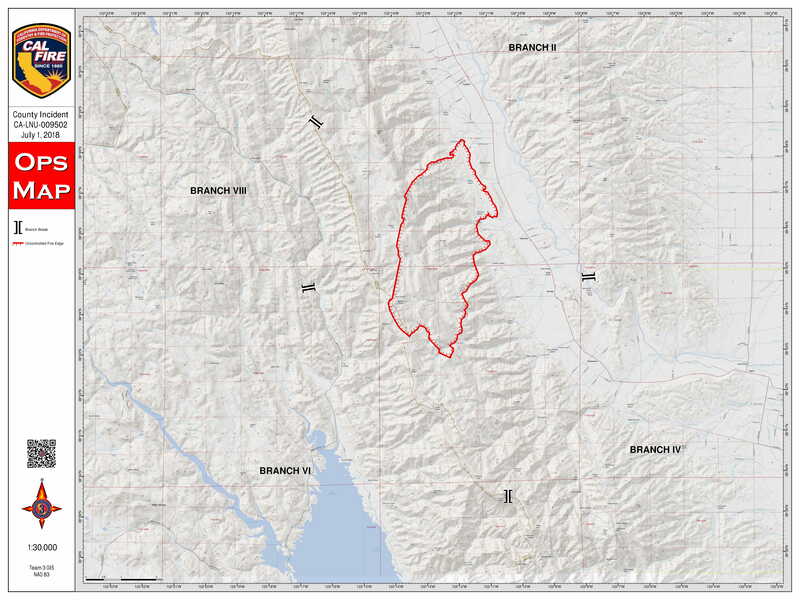 The County Fire burning near Lake Berryessa has scorched at least 88,000 acres. So far, the fire is 37 percent contained. NAPA COUNTY, Calif. (KGO) -- The County Fire burning near Lake Berryessa has now scorched over 88,000 acres. So far, the fire is 37 percent contained. Firefighters will continue to work aggressively through the day to build containment lines around the fire. Steep and inaccessible terrain has created difficulty for crews along the northern portion of the fire. Although the weather will be more favorable Friday, higher temperatures, lower humidities and winds are expected to return over the weekend. Damage inspection teams have begun to survey the areas where the fire activity has diminished. Brown said the blaze started Saturday and is surging through rugged terrain northwest of Sacramento amid hot and dry weather. Cal Fire officials say their goal is to have full containment of this fire by next Thursday, July 12, 2018, which is two days more than they originally predicted. Area west of State Highway 16 to the Yolo-Lake County line, north of County Road 40 and south of the Yolo County line.